How will 2017 be remembered in the Porsche 911 marketplace? The truth is that 2017 was much less of a sellers' year than the year before. The introduction of the 991 GT3 Touring with manual gearbox signalled an end to the astronomic pricing of the 991 R. Numerous rare, air-cooled 911s failed to meet reserve at international auctions, leading to an overall correction in the marketplace for Turbos, GT cars and Rennsport models alike. Do these observations implicate that the 911 is finally becoming accessible again for its ever-growing base of enthusiasts? Far from it. Air-cooled 911s still command a premium for their pure desirability, whereas the rare cars are still reaching staggering price levels under the impulse of a new audience. In this context 2018 may well be a pivotal year. Will the market recover, or will further price corrections be a reality for dealers and auctioneers? Time will tell, and the very first auction results of the year will surely provide direction. 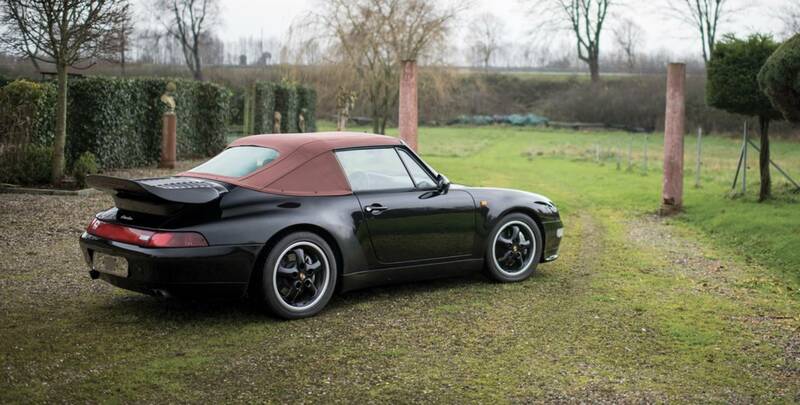 Little is known as to what the big auctions will bring for the Porsche 911 next year, yet when looking at the first lots to be offered next year two conclusions seem clear. 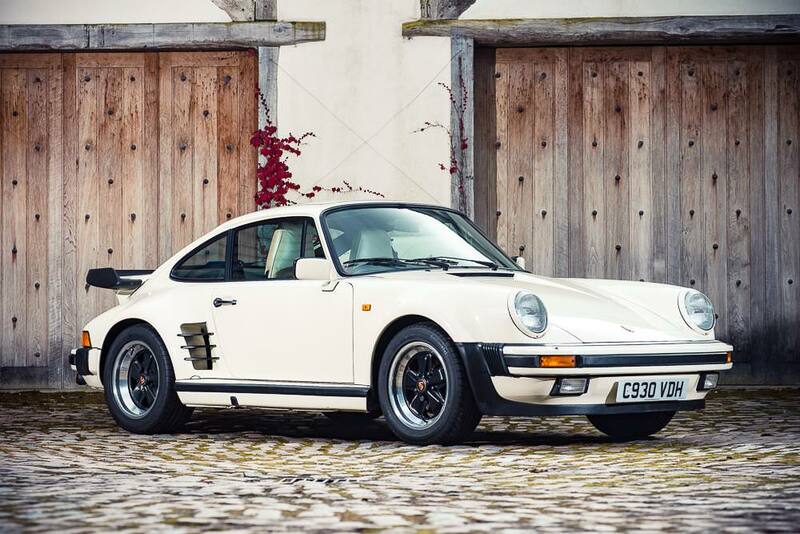 Firstly, the auction houses continue to diversify their catalogue: the traditional unicorn-level cars are more and more complemented with great examples of classic and modern 911s. Look into RM Sotheby's catalogue for the upcoming Rétromobile auction and you will find each 911 generation as of the G series, some cars more rare than others. Secondly, the expectations are corrected: estimates are more realistic, perhaps to avoid a flop for the strongly hyped 911s like the 991 R.
Let's take a look at a selection of special 911s confirmed for auction early next year. The 911 as a convertible would never be our preferred choice, even more so for the air-cooled generations as we believe the folded roof compromises too much with these 911's beautiful aesthetics. Our roofless preference would therefore be the Targa, hands down. However, that does not mean that we cannot enjoy a great 911 'cab' every now and then, most certainly when we are talking about a very special car such as this '98 993 Carrera S.
A 993 Carrera S is not the 911 you would see very often. Let alone in convertible trim, which in fact never was part of the catalogue. 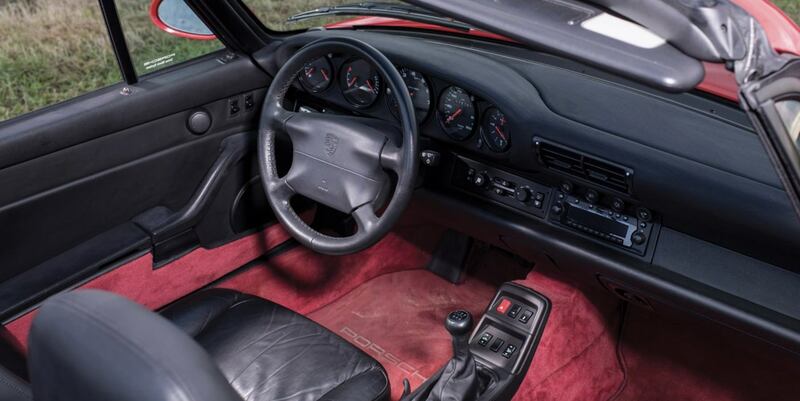 This particular car was commissioned through Porsche's mythical Exclusive department near the very end of the 993's lifecycle. It is believed to be the only Carrera S convertible to have ever left the factory, and looks quite inviting in its illustrious Guards Red over black leather trim. The estimate of €350,000-€450,000 appears to be justified around the fact that there is only one of these 911s in existence. However, it remains extremely high for a Carrera S and will probably only be met by a money-no-issue, high stakes air-cooled collector (hello, Rudy Mancinas?). We are very curious to see whether this 993 will meet its reserve. 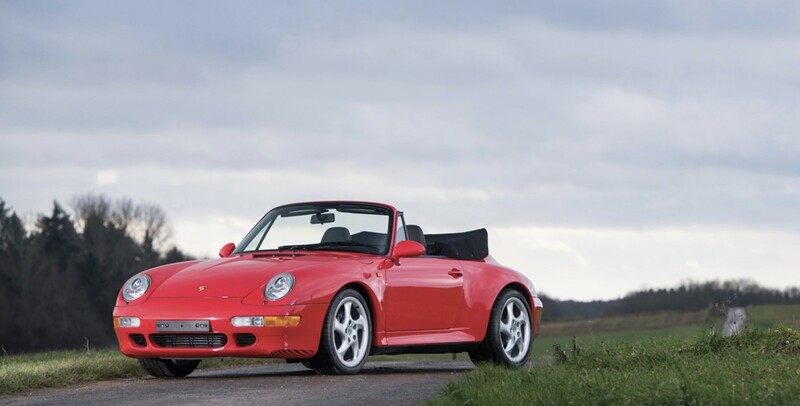 Who are we to judge the value of the 993 Turbo convertible as one of these 14 beauties was auctioned for an utterly mind-blowing €1.3 million early 2017 in Paris. Despite reaching this record-breaking result at the same auction, RM Sotheby's is significantly more conservative when it comes to the estimate of this model, expecting between €625,000 and €725,000. We expect it to be in part due to stagnating results on air-cooled 911s in the second half of 2017. Other reasons could include multi versus single ownership, and not in the least the specifications of this example: the less aesthetically sound 964 Turbo S X93 spoiler, 993 Carrera wheels and a Porsche Exclusive clutch (as opposed to a Ruf example). Cool fact: this car is believed to have been commissioned by Willi Weber, Michael Schumacher's long-time manager. Its current owner bought the car in February 1997 and has since spared no expense to keep the car in mint condition. The days where the 991 R was easily fetching prices above €500,000 are over, so we are curious to see how many of these illustrious 911s will reach the auction market in 2018. 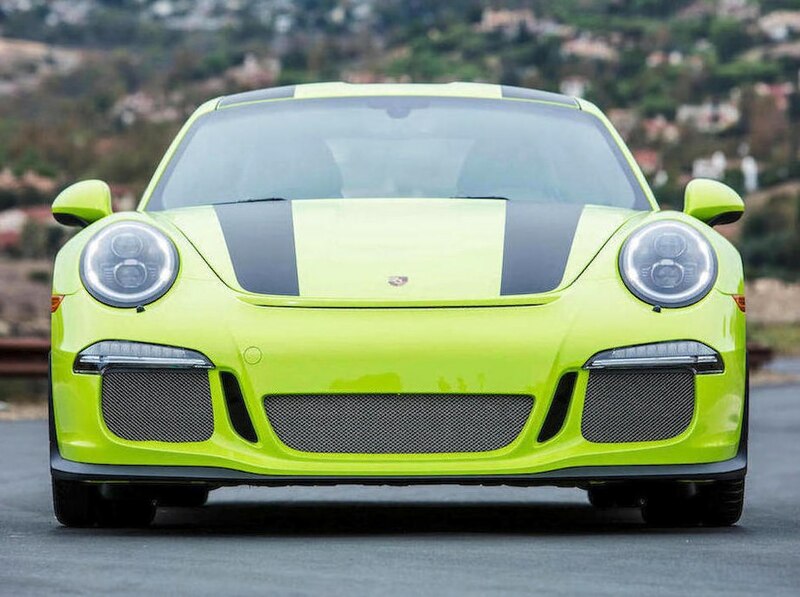 If we may take this example as a basis, we can expect a lot of creativity from sellers alike to command their 991 R premium in the current market context. 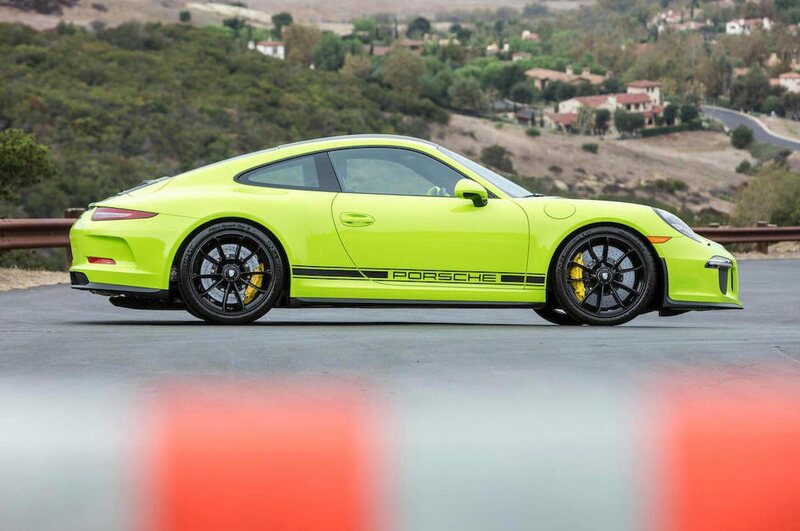 This 2016 Acid Green example is offered for sale together with the owner's 2015 918 Spyder. Both cars were ordered with matching serial numbers and complementary configurations, as Acid Green is the non-metallic accent color used on the Spyder. The consignor, an original 918 Spyder owner, was offered the opportunity to pre-order a 911 R yet seems to have done so primarily to speculate on future values: the 991 R has only driven 38 miles since delivery! "This is an incredible and historic opportunity in every way," says Michael Camaino of Bonhams Motoring LA. "First, a 918 Spyder and 911 R in such desirable specification are tremendously newsworthy on their own, but offerend in nearly brand-new condition with matching serials numbers? It's never been done and represents an incredible, once-in-a-lifetime opportunity for a collector." Let's see which collector will take the opportunity at Bonham's Scottsdale auction this January! All photos courtesy of RM Sotheby's, Bonhams and Silverstone Auctions.